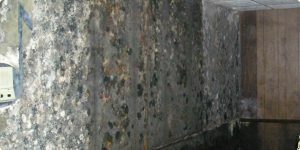 Mold is an increasing concern for property owners throughout Pennsylvania. 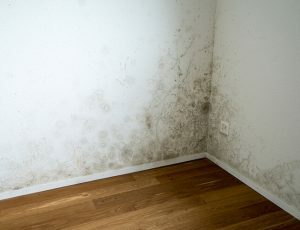 Where there’s moisture infiltration, dust (which can naturally contain mold spores), a source of food such as dust mites, and a substrate or material capable of sustaining growth, the “perfect storm” for mold contamination may be brewing inside your home or office. And it’s no secret that scientific evidence has shown that water damage and mold-contaminated materials pose a potential health hazard to building occupants. *For emergency restoration services, call us at (717) 249-7052. Are you worried about mold growth in your PA home? That’s where the experts at Tuckey Restoration come in. Our team consists of Certified Mold Remediation Specialists and professional clean-up technicians with years of experience in the industry. Contact us to arrange for a certified PA mold inspector to come to your home. If mold growth is found after performing a thorough assessment, Tuckey Restoration, Inc. will implement the simplest and most expedient remediation methods that properly and safely remove fungal growth from identified areas. In all situations, first and foremost, the underlying cause of water or moisture infiltration must be identified and rectified to prevent the fungal growth from recurring. To minimize and/or eliminate any potential health hazards to current or future occupants of a home or office building, all water-damaged and mold-contaminated materials should be properly discarded and the remaining building materials sanitized. The remediation efforts performed by Tuckey Restoration, Inc. are always consistent with current guidelines, and a prompt removal of contaminated material and infrastructure repair is the primary response to mold contamination in structures. The ultimate goal of the remediation process is to remove and/or clean all contaminated materials in a way that prevents any emission of mold and dust from leaving the work area and entering an occupied area, while protecting the health of workers performing the remediation. We adhere to these stringent guidelines for mold cleaning in PA. Mold contamination may sound somewhat daunting. But it doesn’t have to be with the Tuckey team by your side! We’ll provide the peace of mind that comes with knowing you’ve effectively addressed mold in your home and the danger it poses to your family and property. Don’t let mold become a problem in your PA home. Call us today at (717) 249-7052 if you suspect that the “perfect storm” is brewing at your home or business. To make an online service inquiry, please submit our convenient contact form. "My wife and I are very happy with the services Tuckey provided. We had a water leak that caused a lot of damage with subsiquent mold issues. Tuckey did a great job resolving the issue and keeping us informed through the whole process. All the workers were very professional and would make sure to answer any questions and address any concern we had. We arw very happy with the service they provided!"